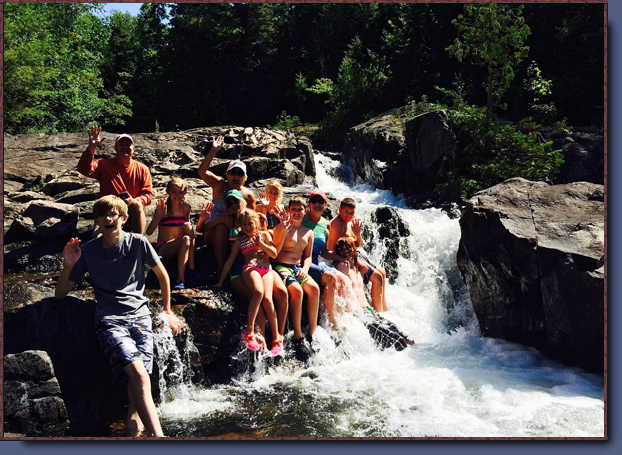 Carpenter Lake Cabins maintains two major hiking trails in the rugged wilderness of the Algoma Highlands. These include the Thessalon River trail and the Carpenter Lake trail both of which are well marked and regularly cleared of brush. The Thessalon River trail traces a loop over a distance of about 10 km from the door of your cabin along a series of back-country roads and the section of footpath beside the Thessalon River (see map). This distance can be halved by driving to one or more parking areas along the route. Hikers on the footpath are treated to a panorama including white-water rapids and tranquil little Chute, Slide and Lemont lakes. 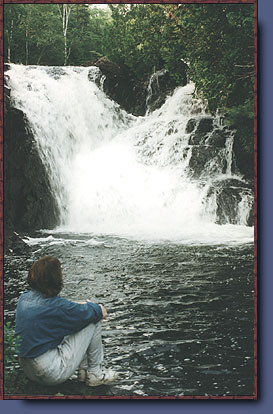 Two major sets of waterfalls occur along this section of river and are highlight of the trip. Hikers can pause to fish for brook trout in pools along the river or explore old dams and chutes left by loggers in the early river-driving days. The Carpenter Lake trail traces a circular route for a distance of about 5 km along a footpath and part of the Carpenter Lake Road around Carpenter Lake (see map). This distance can be shortened by taking a boat or car to the west end of the lake. The footpath leads through old-growth white pine forests, past scenic Mountain Lake and crosses the Thessalon River at the outlet of Carpenter Lake. 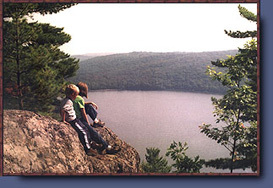 The trail affords spectacular vistas from high bluffs on the granite escarpment at the north side of the lake. 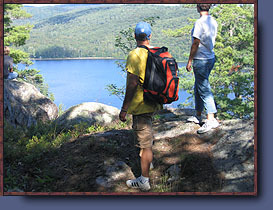 The hiking trails are a "must do" for outdoor enthusiasts. Free maps are available for each of the trails.